If you have been skiing at Canyons Resort for decades and you remember when it was called Wolf Mountain and Park West Resort, you no-doubt recall the Red Pine Condos! The Red Pine Condos are on your left as you drive up towards the Upper Canyons Village at Park City. Some of the Red Pine condos are town-homes that include covered parking. Others are stacked condominiums tucked in the trees with corner balconies. 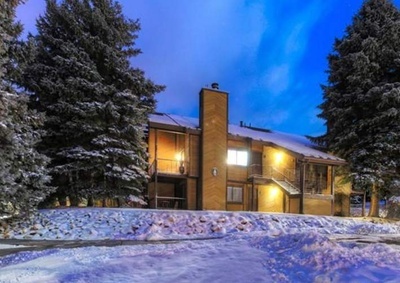 Red Pine offers prospective buyers a convenient close-to skiing location at a fraction of the price of the newer ski-in/ski-out condos further up the hill. Red Pine just got a lot nicer thanks to the completion of the Canyons Golf Course which wraps around the Red Pine neighborhood. Red Pine offers some great tennis courts and two swimming pools as well as a clubhouse. Quickly & easily gather all the info you need about Red Pine. Our FREE Park City & Deer Valley Real Estate Concierge is at your service! Call toll free 1-800-485-0218 or use our Live Chat for instant answers to your resort real estate questions.